CBYP will have a stand at the Murrumbateman Field Days this Saturday and Sunday – 20 and 21 October. We will have lots of information on poultry keeping and members on the stand to chat and answer your questions. Some members will also have chooks for sale. More information at the Field Days Website. The CQPC are holding their Annual and Rare Breed Show on August 5. 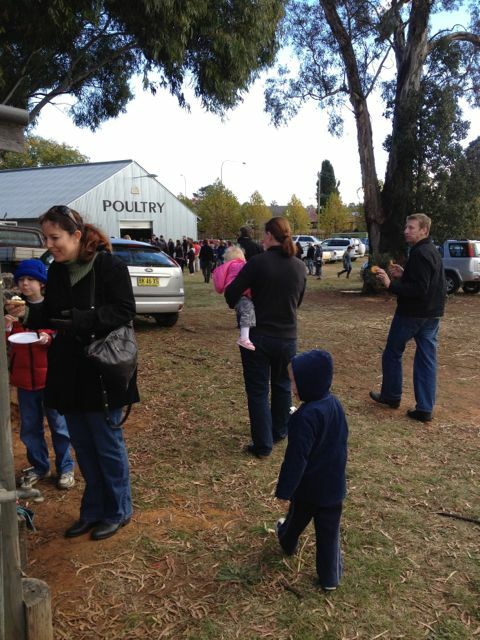 Royal Canberra National Poultry Show on TODAY! Today, tomorrow and Sunday, this is the big one – held only once every four years. There are over 4000 entries so come along to EPIC and see some beautiful and interesting poultry. Comments Off on Royal Canberra National Poultry Show on TODAY! CQPC Pure Breed Sale and Info day was a roaring success! The day was a fabulous success with standing room only in the poultry shed and a queue snaking out the door to pay for birds. The Info talks were also well attended and the BBQ and cake stand looked like they were doing a great trade. Well done to the Club for organising such a great day! Comments Off on CQPC Pure Breed Sale and Info day was a roaring success! Pure Breed Poultry Sale and Information Day. The Canberra Queanbeyan Poultry Club will be holding a Pure Breed Poultry Sale and Information Day. 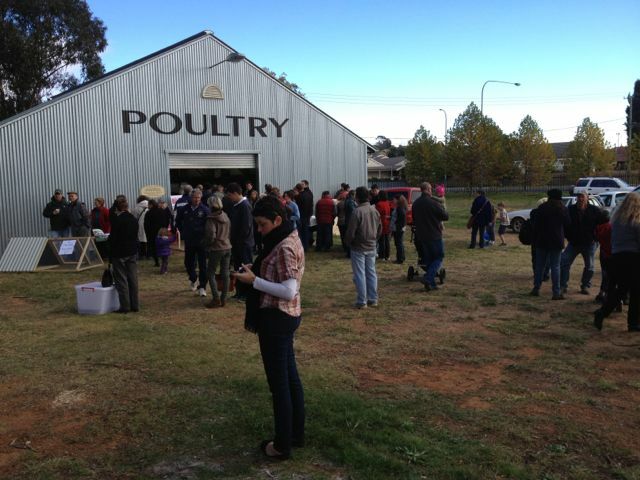 It will be at the poultry shed at the Queanbeyan Showgrounds on Sunday 13th May 2012 starting at 10am. Vendors wishing to sell birds are welcome. Minimal pen fee. Any pure breed poultry is welcome, just make sure your birds are healthy! Pen space is limited, so book early! 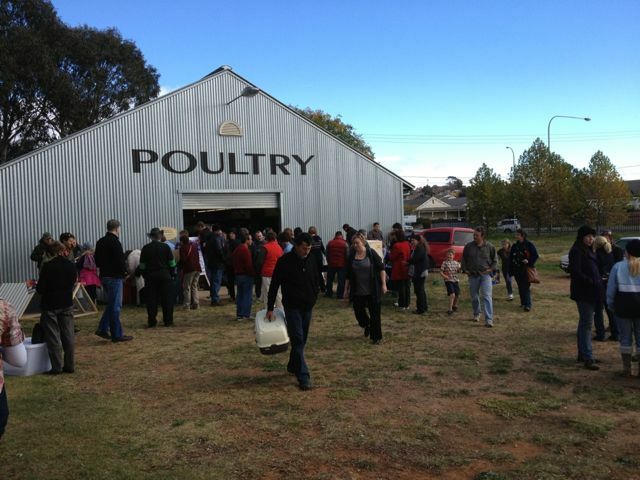 Comments Off on Pure Breed Poultry Sale and Information Day. Comments Off on Welcome to CBYP!